The abstract style gives me freedom to express my emotions. Years of traditional training at The Art Students League, The National Academy of Design and Pratt Graphics Center gave me a solid foundation in drawing, painting, and composition. 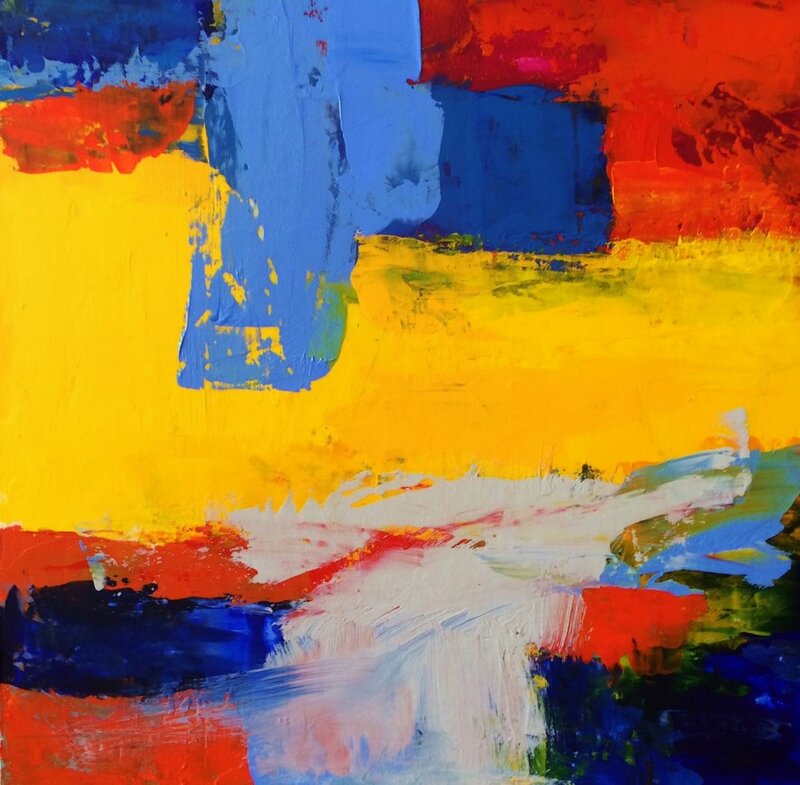 I was encouraged to follow my instincts to work abstract when I took a color theory course with the painter, Wolf Kahn at the National Academy of Design, NYC. I also had two semesters of advanced color viscosity printing making at the NYU, Steinhardt School of Culture, Education, and Human Development where I worked in an abstract style. When I begin a painting, I work with no preconceived idea. I start to lay in color on my paper or canvas. A completed painting develops by a series of revisions as I work with my palette knife and brush. As the paint, color and texture build the work begins to take on a life of its own. The work is finished only when it “feels” right to me. It is an emotional rather than intellectual process that determines whether I consider it a completed work. Nature and my environment have always been a source of fascination and inspiration. I have a lifetime commitment to the creative process, and am not afraid of change or challenges. I grew up in New York City on Third Avenue in a tenement building. The deteriorated and chipped walls of the entrance looked like a painting. These images are used in the way I layer my work and build texture. Since 1970 Spain became a focal point for my artwork. The vast openness of the sea, sky and mountains where I maintain a home base is my sacred space. Spending time out west at the Grand Canyon, Monument Valley, Zion and Bryce Parks has enriched my view of nature in a more spiritual way. I admire artists from the Hudson River School to the Abstract Expressionists; however, my hero for the past decade is Richard Diebenkorn (1922-1993). Each time I view his work I come to understand the power of his use of color and composition. Other artists I admire are Willem de Kooning, Franz Kline, and Helen Frankenthaler. I have a long history with New York University. I graduated from School of Professional Studies, liberal arts degree program with a BA in art history with honors (1991); attended Graduate School of Arts and Science, John W. Draper Interdisciplinary Master’s Program in Humanities and Social Thought (1995) and worked fulltime as an administrator at NYU for eighteen years. In 2013, I began as a mentor at The Wasserman Center for Career Development and The Tisch School of Arts. Over the years, I have also curated and organized student art exhibitions at NYU’s The Bronfman Center for Jewish Student Life and the Kimball Commons Gallery. Since 1995, I teach in spring semester at NYU, School of Professional Studies, as an adjunct associate professor of arts in the Division of Applied Undergraduate Studies. I worked in the music industry from 1964-1984. That was an education in itself…it was the Cultural Revolution. In 1964 at 18 years old, I worked at the American Guild of Variety Artists (AGVA) in the immigration department and prepared visas for the Beatles and Rolling Stones. I sold many painting and went to art classes after work. My life has never been boring. I live the life I love and share my enthusiasm for the creative process each day. I married a fellow artist, John Ferdico. We met at The Art Students League, NYC in 1978 and still share a studio in our apartment in Queens, NY. My work has been exhibited in the U.S. and internationally. I participated in the U.S Art in Embassies Program and exhibited at the U.S. Embassy in Lima, Peru. For a number of years, I have work in Gallery 54, in Herefordshire, England, and in private and public collections. 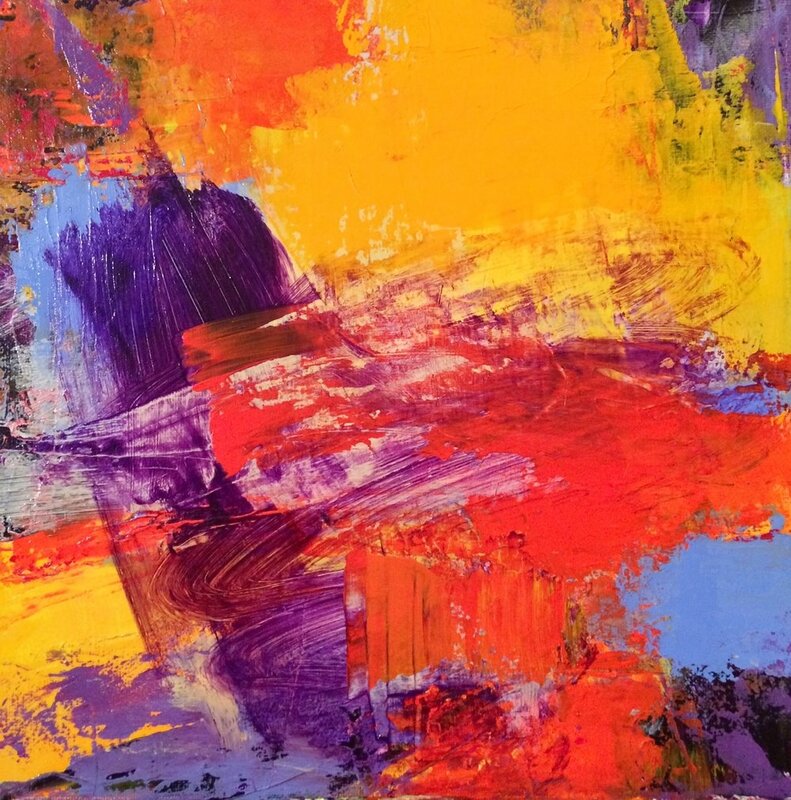 My intimate sized abstract work created by palette knife in acrylic on canvas/panel are bold and vivid. Color and texture are important elements in my work. Nature and memories are my inspiration.